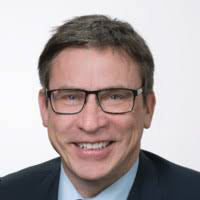 BiographyAfter 7 years in the geo-consulting industry Andreas starts at Munich Reinsurance in 1995. His main focus has been the development of solutions and services to assist underwriters to manage their exposure to natural and man-made catastrophes by combining insurance information with (geo)scientific analysed with GIS-technology. Since 2004 he is heading the Geospatial Solutions Team at Munich Re leveraging geospatial analytics in the insurance value chain. Today the focus is on the linkage between business data and location intelligence. Based on new IT solutions (e.g. Hadoop, SAP Hana, ArcGIS Portal) many innovations are aligned to geospatial analytics and data management, leveraging Spatial Big Data and other analytics initiatives in the insurance community. In numerous lectures and articles in the geoscience and insurance community he is stressing the benefit of geospatial and mapping solutions in a holistic risk management. AbstractSince 24 years the geo experts from Munich Re, a leading global reinsurance company, are linking geospatial technologies with the business requirements and processes from the (re)insurance industry. Not at any time, we´ve been so close and straightforward in integrating business and location intelligence in business relevant IT-solutions. Driven by innovative technologies, incredible processing power and new data analytics methods, the geospatial community is nowadays an essential part of the insurance value chain and strategy. Mainly in the fields of risk identification, risk assessment, marketing and claims management, GeoAnalytics improves and contributes value-add to the business model. Successful use cases, using remote sensing data, real-time information and Artificial Intelligence (AI) are triggering innovative products and services. The speaker will give an overview, appraisal and optimistic outlook how geospatial technologies are driving digital transformation and help organizations to reenvision their workflows.